Itâ? 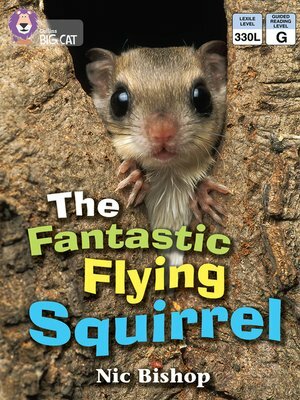 ?s night time and many animals are sleeping, but deep in the forest a flying squirrel is waking. She is hungry and looking for food; what will she find to eat? Beautiful photographs show clearly how the flying squirrel moves, what she eats and where she lives. â?¢ Blue/ Band 4 non-fiction books use childrenâ? ?s language patterns to give information which is supported by the illustrations and design. â?¢ Text types - An information book. â?¢ A pictorial summary of the book with simple labels on pages 14 and 15 allows children to recap and discuss the text. â?¢ Curriculum links - Science: light and dark, sound and hearing. Nic Bishop, who holds a doctorate in the biological sciences, is an award-winning author and photographer known for his outstanding stop-action wildlife photographs. He lives in Kalamazoo, Michigan, with his wife and a bevy of animals under study.